We were very excited last month when the over 700 students at Northwood Elementary school in Roswell GA participated in our week-long Plastic and Recycling Awareness Curriculum! It was an exciting week and all the students and faculty were thrilled to be part of the fun, engaging lesson-plans. Here are some great photos and notes from this extraordinary and rewarding week. 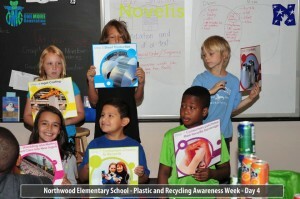 The big kick-off for our weeklong Plastic and Recycling Awareness Curriculum. 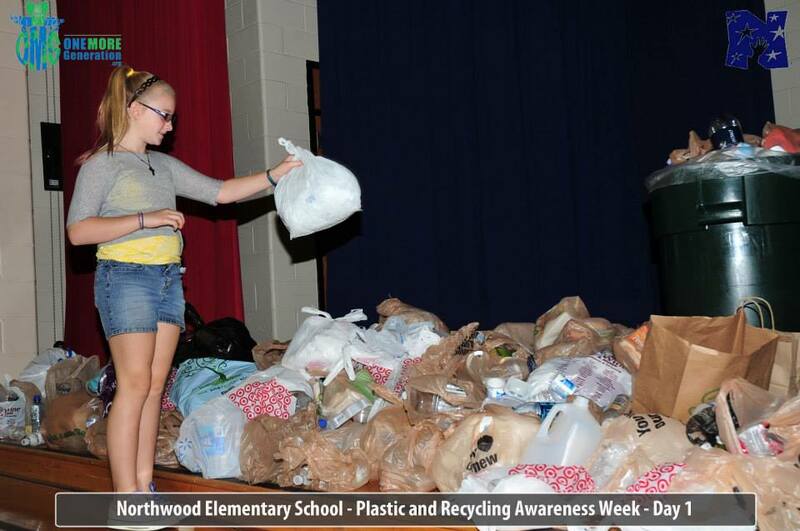 Each day of the week all 700+ students learned various facts about the issue of Plastic Pollution and how they and their families can be the solution to the issue of plastic pollution. On the second day the students were treated to interesting facts about the effects of plastic pollution on animals. Each student brought in their own reusable shopping bag which they decorated. They then learned all about the misuse of plastic bags in this country. Did you know that the average adult in America uses between 500 and 1,200 single use plastic bags every year and that less than 10% ever get recycled? 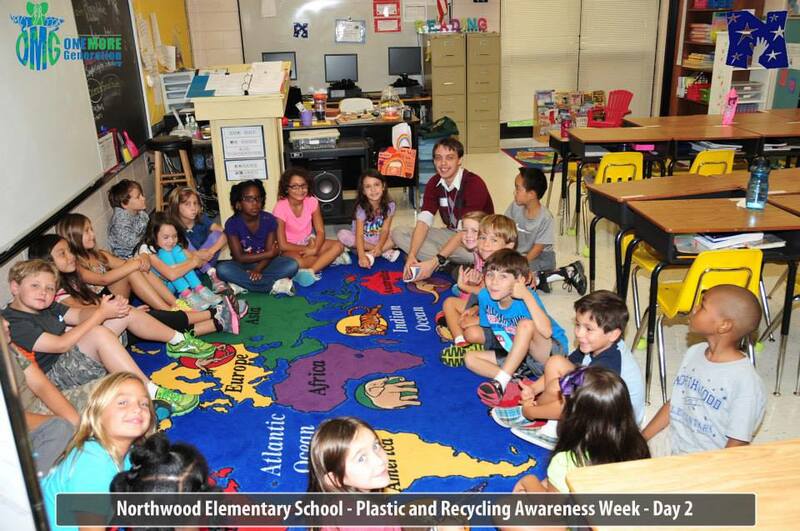 The day’s lesson focused on helping the students to be able to identify all seven types of plastic and to give them a better understanding about how recycle centers work. 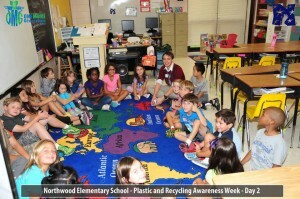 The new word of the day was “Precycle” and all the students were taught how important it is to Precycle. With their new found knowledge, all the students will be able to help their families make wiser buying decisions which will ultimately prevent items that are low in demand in the recycle world from ending up in our environment. Day 4 of our weeklong curriculum introduced the students to the world of Aluminum and the importance of recycling all aluminum. 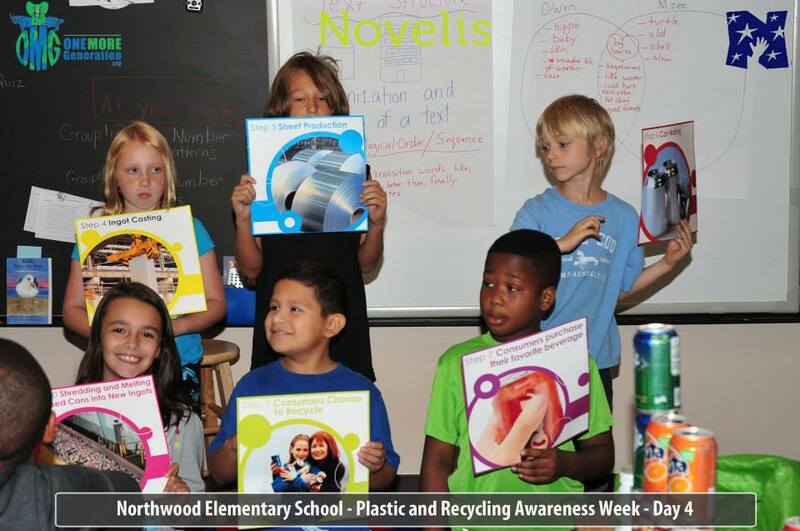 Brought to the students by our friends at Novelis, the curriculum covered all aspects of aluminum and helped students understand that by the simple act of recycling, we can save about 95% of the energy needed to make an aluminum can. The students all had fun learning how and where we get aluminum from and we also made sure they understood what it means when we talk about a “Closed-Loop Recycling” system. The students all got to be part of the presentation, and everyone walked away excited about what they learned and ready to share with their families. Day 5 of our weeklong curriculum is all about having fun, with students sharing what they have learned all week about plastic and aluminum recycling with their families and community. The students all gathered in the auditorium to meet with OMG founders Carter and Olivia and shared their thoughts on the week. After a week full of exciting environmental education, it was finally time to go out and have some fun playing in trash. The students were all eager to go outside and help create their art sculpture which was made 100% from all the plastic trash they had assembled from home. Most people do not realize how much of our daily trash is actually plastic and aluminum until they see something like this. 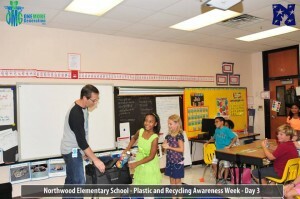 More importantly, they never really knew that some plastics are actually thrown away and end up in landfills. 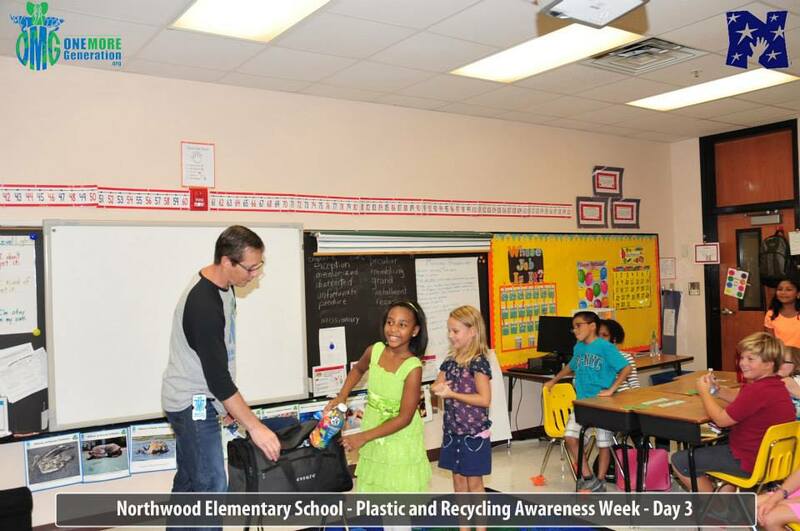 Our program was designed to help families better understand the best ways to deal with all types of plastics and the importance for recycling what you can and avoiding the rest. The students all had a blast getting dirty and filling the art sculpture with the collected trash. 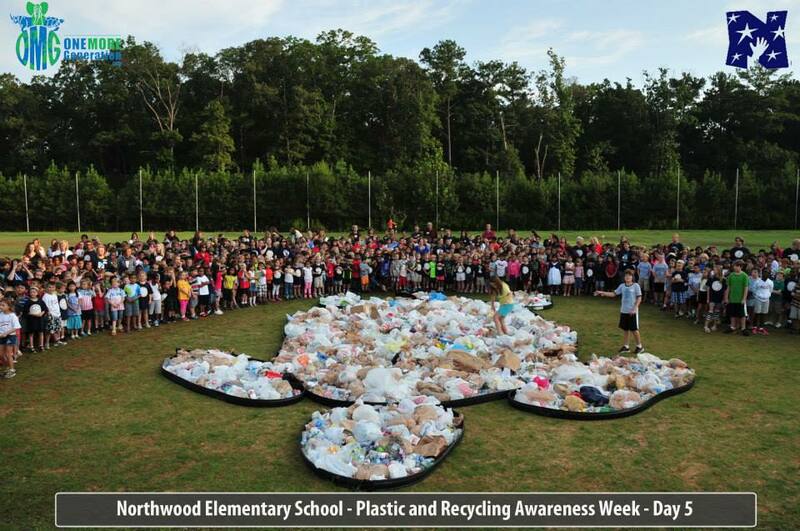 They had decided to make a giant Sea Turtle to show their entire community that plastic trash kills countless animals and we are the only ones who can stop that from happening. We wish to thank school Principal Dr. Ritu Ahuja, and her entire staff for allowing us to come in and share our curriculum with all the students. This was our largest school to date and it proved that the curriculum is something that every school must have.